As new technologies are transforming every aspect of running a competitive business, staying competitive today means recruiting and retaining the best candidates. The skills and expertise required by our clients targets specific individuals who are already in demand and are very successful in their current opportunities, and most of them are not actively looking for a change in job. 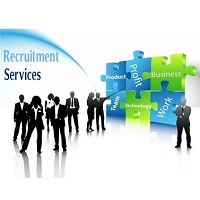 ZAMIR ENTERPRISES understands what recruitment strategies and candidates are likely to do well at our client companies. Our candidates come from your industry, or related industries that have the knowledge and skills you need for your firm to succeed. ZAMIR ENTERPRISES has over 30 years of experience and expertise in sourcing and recruiting professionals from various technical and engineering fields. To help our clients achieve competitive advantage, we will identify the best candidates from their current environments and match them to our clients through our extensive candidate database and strategic industry contacts. New job requisitions for the professionals are posted on the companyÂ´s web site as well as to subscribed web sites. The resumes against these job postings will directly reach the concerned recruitment executive's e-mail address which is advertised in the websites. Our expertise lies in the quick and efficient way in which our recruitment team can bring you the best candidates. We are equipped with fully integrated computer systems linking local and worldwide resources. We receive a good number of resumes through our website which are constantly added to our primary candidate database. Apart from our own up-to-date candidate data base, we source candidates from a multitude of resources such as the major internet databanks like Naukri.com, Monster.com, HotJobs, etc., direct advertising, email advertising, direct recruiting referrals, affiliates, and our technical partners around the world. We contact a list of pre-identified persons who applied for the job opportunity. We gather their latest resumes, reference lists and compensation expectations. Screening of candidates according to predefined requirements is a part of this service. The resumes of the best candidates identified for the job are sent to the client. The client sends the short listed candidate names. We arrange the interview schedules as per the convenience of the client and the short listed candidates. They can be telephonic or personal interviews. We personally contact each candidate for knowing his/her availability to minimize loss of time for the client and candidate. Our team of Staffs handles promptly and efficiently all the formalities related to Medical Tests done by Highly qualified Medical Officers ( GCC Registered Medical Panel Diagnostic Centers ) to ensure that all the health requirement are fulfilled. Visa processings, Emigration Clearance, Flight Bookings, intimations of Flight Details to Clients. ZAMIR ENTERPRISES understand just how important it is for you to have access to the most highly talented and skilled employees. We also know that identifying and recruiting these individuals, ones that fit your organization's needs, values and culture, can be very difficult. We will find those people for you. Not only do we have access to a large number of high caliber candidates across many industry sectors, but because we truly understand your needs, we will consistently match you with the right people more often then our competitors.